Grab it. Grab it nao! Pesky licensing deals! Capcom's Christian Svensson has announced that the deal between them and Tatsunoko has "lapsed," which basically means that they can't print the Wii's Tatsunoko vs. Capcom anymore, or sell it digitally. If you haven't nabbed TvC yet, now is the time, as very few places are still selling them new (Amazon has stopped selling it in an official capacity as of this morning). After reading the lovely Jonathan Holmes' review, how could you pass it up? If you aren't sold yet, it would like awful nice sitting next to that fancy Wii U, with backwards compatibility. Or you could always leave it sealed and resell it (remember Marvel vs. Capcom 2?). 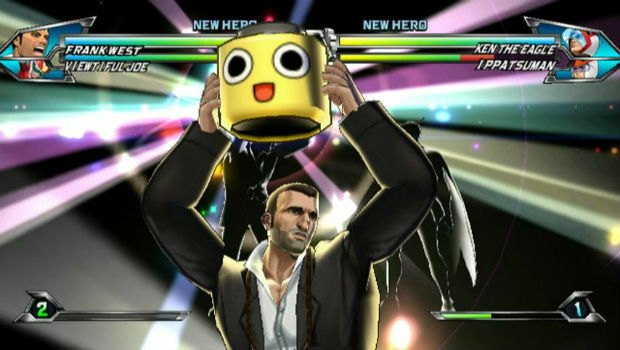 Hopefully at some point we can get Sanrio vs. Capcom game -- wouldn't that be awesome? I call Unico and Servbot.